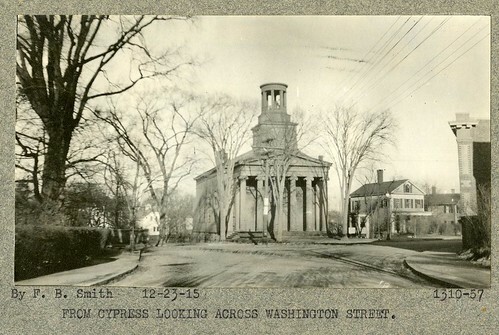 Standing on Cypress, looking across Washington St. (obscured) at the Bethany Chapel. Foreground, right: one-story store fronts at 4 Cypress Ave., still standing. Background, right: 115 School St., no longer standing.